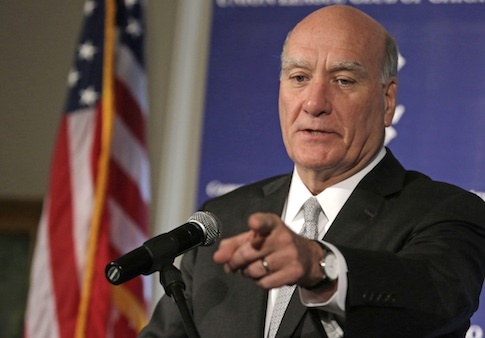 Former White House chief of staff and Illinois Democratic gubernatorial candidate Bill Daley joined Swiss hedge fund Argentiere Capital as a managing partner and the head of U.S. operations, the Chicago Tribune reported. Daley will still be based in Chicago. Argentiere launched in June. Gulati was one of many star proprietary traders that left banks to form their own hedge funds in response to the so-called Volcker rule, which prevents banks from making several kinds of risky bets with their own money and federally-insured deposits. Bloomberg reported that Argentiere, based out of Zug, Switzerland, and named after a skiing village in the French Alps, would focus on volatility trades, or betting on the rate at which stocks rise or fall. Gulati was based in Zurich when he worked for JPMorgan, the bank Daley worked for before becoming President Barack Obama’s chief of staff for one year. After stepping down as chief of staff, Daley, the son and brother of former Chicago mayors and the former U.S. Commerce Secretary under President Bill Clinton, began mounting a campaign for Illinois governor. He abruptly called off his bid in September, telling the Tribune that he wasn’t prepared for "the enormity of it." Daley will be working on fundraising and provide insight into policy for Argentiere. This entry was posted in Politics and tagged Bill Daley. Bookmark the permalink.